Gloves and Gowns: Muay Thai Chic! 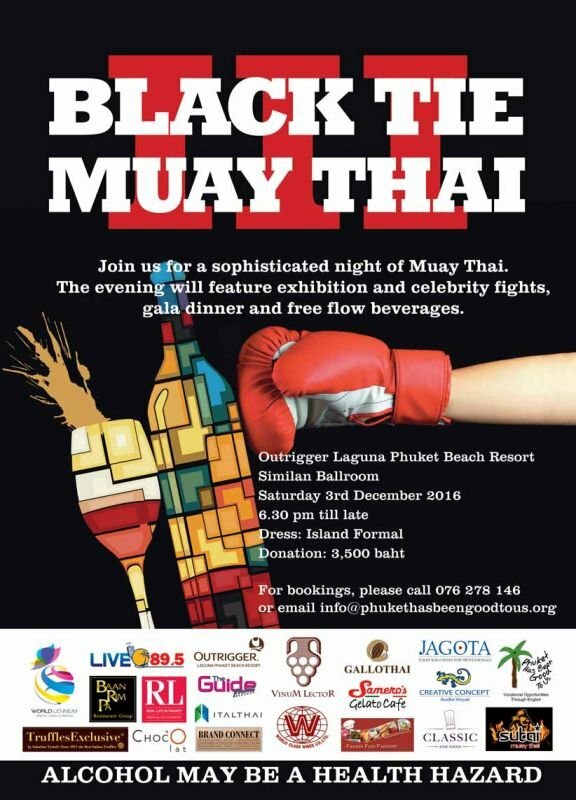 Celebrities and experienced Muay Thai fighters from Phuket step into the ring for a good cause. Guests will enjoy a drink reception, a delicious four course dinner and free flow beverages. When the gloves come off, the dance party starts in the ring! Booking essential; please contact #076-278-146 or email info@phukethasbeengoodtous.org.